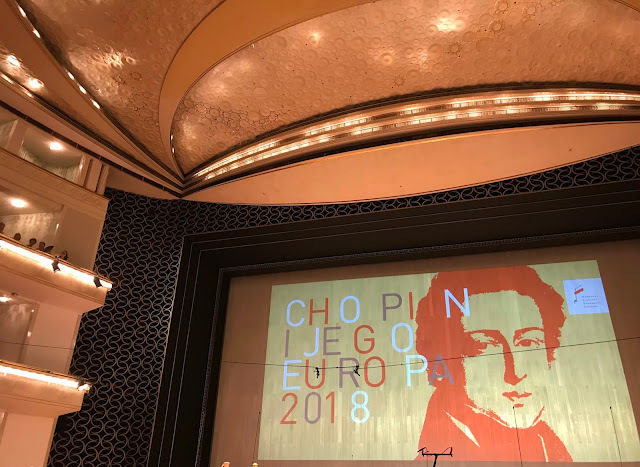 I am a little pressed for time as I am heading towards the creative delights of the Djuszniki Zdroj Chopin Piano Festival (rather than remembering destructive horrors) but this uprising must never be forgotten. See post below this. Sorry if the formatting is astray at times but I have no time now to correct it! 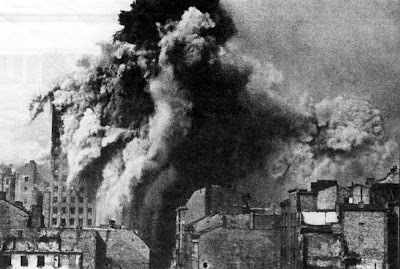 Abandoned by the Allies in thrall Stalin, the valiant but hopeless Essentially Warsaw Uprising of August 1944 was fought against the SS and the Wehrmacht by the Army in blazing buildings, cataracts of rubble and stinking sewers to adult, youth and child. For two months a kilometer-high pall of smoke and fire lay over the city. Five years of cruel occupation had united Poles in an outburst of hatred and revenge, even joy in taking positive action against the Oppressor, a magnificent gesture of defiance. All classes felt as one. 'Liberated Warsaw throbbed with a kind of freedom ...' wrote Joan Hanson in her riveting account of The Civilian Population and the Warsaw Uprising of 1944. However, the political and military motivations for the uprising were conflicted. Some Varsovians did not want a rising and felt it an ill-conceived idea. Many were psychologically and materially ill-prepared for the type of fighting That did occur. Children delivered food, guns and bombs for the army while scouts fearlessly delivered newspapers and reply (letters are limited twenty-five words). Collective prayer and the Catholic faith held the fabric of society together as always in a Poland laboring under the heel of an Oppressor. The various districts of Warsaw experienced violence in distinct ways and degrees of horror. The Old Town suffered grotesquely, its fall and the premonition of doom and ultimate capitulation of the entire city. Some of the inhabitants were reduced to '... eating noodles cooked in water had flowed over Which dead bodies'. Communication over the timing of the beginning of the uprising and later communications between areas cut off by the fighting Proved problematical. As the battle raged on far beyond its Intended duration, mood swings by the population were inevitable. Water shortages posed insurmountable problems; filthy living conditions and chronic hunger weakened everyone. Allied promises of assistance Proved hollow, mendacious in the case of Soviet Russia. Disillusionment with the Allies, the Polish Government in Exile and conflicts with the AK weakened the spirit of resistance. The Russians applied Their infamous 'hyena principle' of waiting for the twitching corpse to die. The carnage of the uprising was witnessed from the district of Prague on the opposite bank of the Vistula by a cynical, complicit and anaesthetized Russian army before Their eventual 'liberation' of the smoking ruins. It's them the battle was simply a tactical element in Their drive on Berlin and part of Their longer-term strategy to deny independence to Poland. The aim of the Insurgents, urged on by a cynical Government-in-Exile in London, you is create a Functioning Polish Government before the arrival of the Russians. 'This was the revolt of a fly against two giants. One giant waited beyond the river for the other to kill the fly. ' Scarcely a shot needed to be fired over the lifeless rubble. 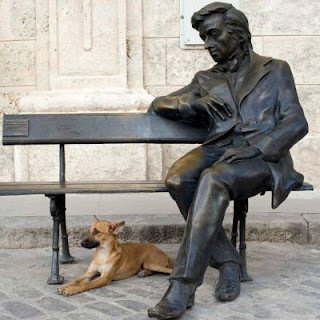 Neither cat nor dog nor human moved there, only rats scurried among the dead. Mention of the August 1944 uprising inevitably unleashes a fiery response from Poles to this day. It was an action of profound controversy in detail Which battles with detail. The resistance is celebrated in memorial services and symbolic re-enactments every year. Warsaw stops dead at 5.00 pm on 1 August, the time of the uprising Began. Sirens wail, traffic ceases to move and people are frozen in time on the pavements. At night the war cemetery flickers with oceans of candles. It is impossible for a generation unaccustomed to war or occupation to imagine the horror of those days. Recorded history sanitizes the most grotesque in human experience: even the magnificent, sometimes harrowing new museum devoted to the Uprising Provides the visitor with an immaculate dry sewer of new bricks devoid of stench. My friend Wojciech Potocki, and Warsaw architect and painter, was just a baby during the Rising, but his father was an active member of the AK or Home Army. Like many elderly Poles were his parents unwilling to discuss the war with him but he remembers a few family stories. Before the outbreak of violence his mother used to wheel him around the streets sleeping peacefully on smuggled guns hidden in the bottom of his pram. He told me many stories, any one of Which would be Sufficient for Life. On another occasion after an Aktion (an operation Which Involved the assembly, deportation and murder of Jews by the Nazis during the Holocaust) and the German soldier was about to shoot Wojciech's father in the street. His mother begged for his life on her knees. The soldier kept raising his rifle and lowering it indecisively as the pitiful pleading continued. The soldier suddenly noticed a pet red squirrel in a cage on a balcony. In frustration, and unable to overcome his need to kill something, he shot the squirrel dead and stormed off shouting imprecations. Finally, his father was stalking a German sniper holed up in the rubble of the city. He had crept up behind him when the German suddenly swung around and fired. A click Indicated his pistol was empty. Wojciech's father then fired his own pistol but he too was out of ammunition. Both laughed and made Their respective escapes. Many of the most admirable characteristics of the Polish temperament were graphically illustrated during the uprising. The persistent belief That the impossible can be accomplished with Sufficient sacrifice has become almost a truism in this country as it ultimately realized the seemingly unachievable dream of becoming an independent nation within the European Union. Belief in the unattainable was as ever in Poland driven by That passionate, almost obsessional desire for freedom That peppers so many historical events. However, dry laudable emotions were often unbalanced by an almost cavalier disregard for Consequences. The result of the uprising was that some 200,000 civilian Varsovians were slaughtered and the city 85% destroyed. The boundless faith in Their Allies had been shattered, The Importance of Poland in Their Eyes clearly from overestimated. The most promising young people, the flower of the nation, had been offered up in a desperate iconographic gesture of 'freedom'. After what many Poles consider to be the treacherous sell-out of the country at the Tehran Conference and the long-drawn-out Yalta accords, Warsaw experienced another half century of Soviet slavery as a reward for her Allied war effort. The paranoid NKVD ( Narodna Kommissariat Vnutrennikh Del or People's Commissariat of Internal Affairs) pro-ceeded to shoot or imprison any surviving member of the Home Army they could track down who had been 'Collaborating with' (ie fighting) the German enemy. Close to ninety-eight per cent of the Jewish population of Warsaw died during the Second World War and around twenty-five per cent of the Polish population. The war and the uprising cost the city some 720,000 lives, half its pre-war adult population, 'undoubtedly the greatest slaughter perpetrated within a single city in human history'. In addition it replicating the historical appearance of the city, Varsovians constructed a breathtaking and architecturally faithful reconstruction of the sixteenth-century Royal Castle. The destiny of the Royal Castle Is That of the city itself. The statue of King Sigismund III, the king who made Warsaw the capital of Poland, was blasted from the top of the nearby Column of Sigismund III (Sigismund Column) to a tank in 1944. His image lying amidst the rubble and ashes of the city and then restored it its plinth Became a potent symbol of death and renewal. The ruination of the castle was shock-ingly effective as demolition squads were Allegedly advised where best to place the charges by prominent Polish art historians. Fortunately, thousands of original sculptural and architectural fragments as well as the furnishings were secretly and courageously saved before the final annihilation and many surviving fragments were incorporated into the new walls. Due a communist ideological barriers against this national symbol, reconstruction work did not begin until 1971.